A Fendi Spy handbag belonging to Sharon Osbourne is going under the hammer on a website that sells the secondhand items of the stars. The bag also comes with a signed photograph and label. Proceeds will go to the Prince's Trust, an organization established by Prince Charles to help disadvantaged young people reach their full potential. 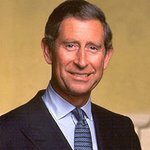 Sellebrity.org.uk is a new way to help charities help others through online auctions of celebrity donated items. Everyone’s a winner with Sellebrity. Celebrities have another way to use their public profile to help good causes, and fans, and collectors, are able to buy things that have a very special provenance. Each item donated will be credited to the celebrity. Also going under the hammer on the site will be items from Brian May, Ben Kingsley, Orlando Bloom, Ben Elton, Bruce Forsyth, Gary Linekar, Fern Britton, Jeremy Irons, Roger Moore, Eliza Doolittle and many more. 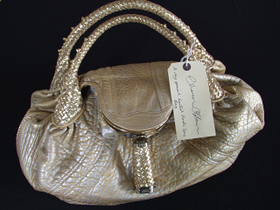 The auction for Sharon’s handbag runs until July 17. To access the auction, click here.